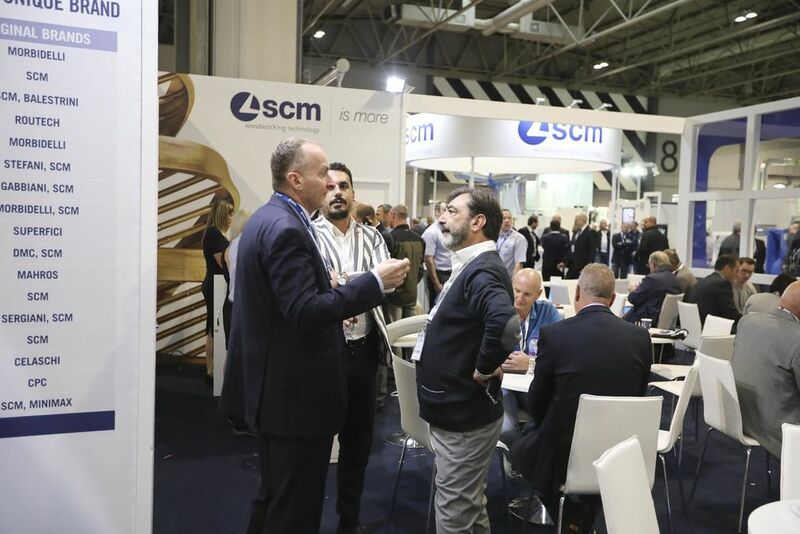 SCM celebrates an edition of W18 featuring big figures, international attendance, innovative technologies and highly specialised training. 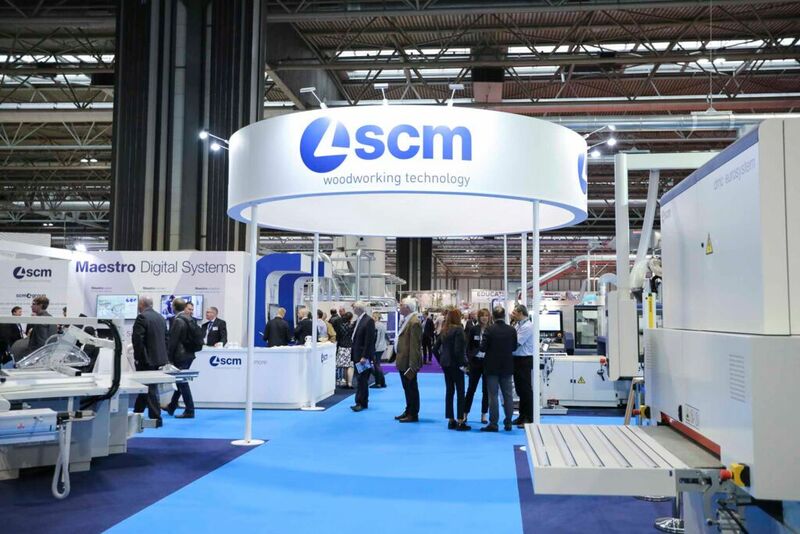 The Italian Group, a long-standing, reliable partner for the entire woodworking industry, has been one of the main attractions at the event held at the Birmingham National Exhibition Centre from 30 September to 3 October. 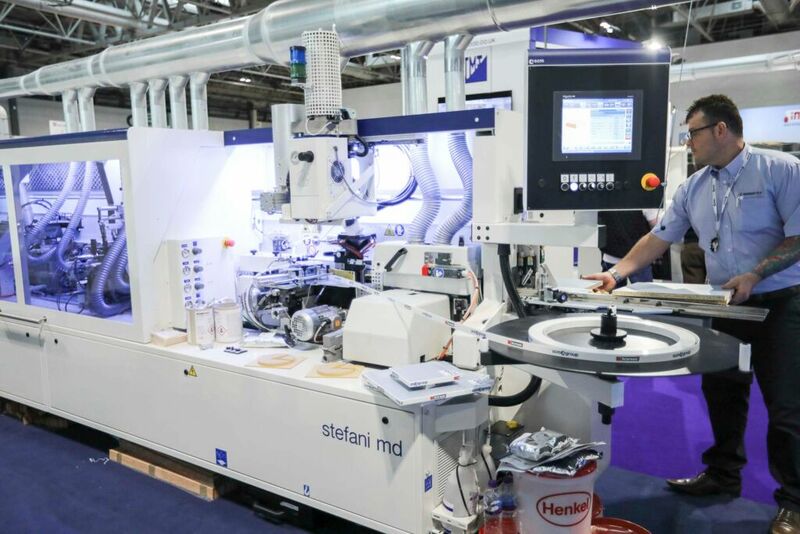 At the fair confirmed once again its leading role in Italy and in Europe, not only for its widest international range of showcased industry-specific technological products, but also for its unique ability to innovate, opening the way to future scenarios in woodworking. 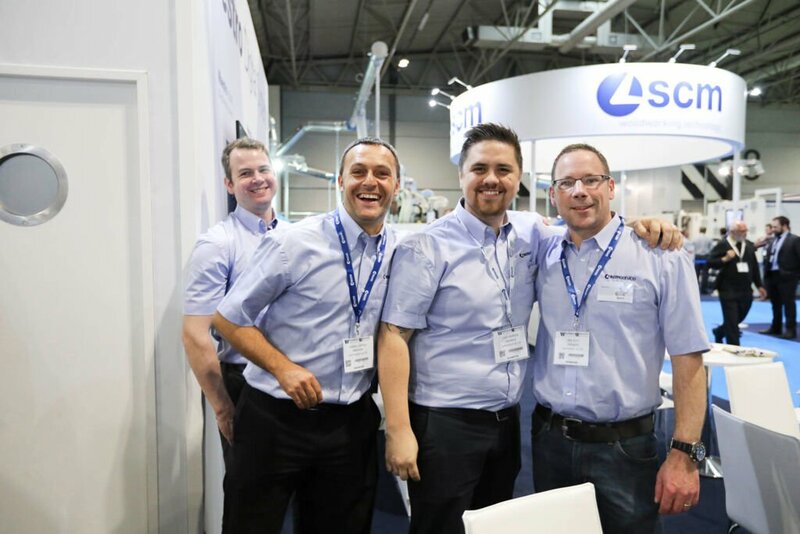 “Work simple. 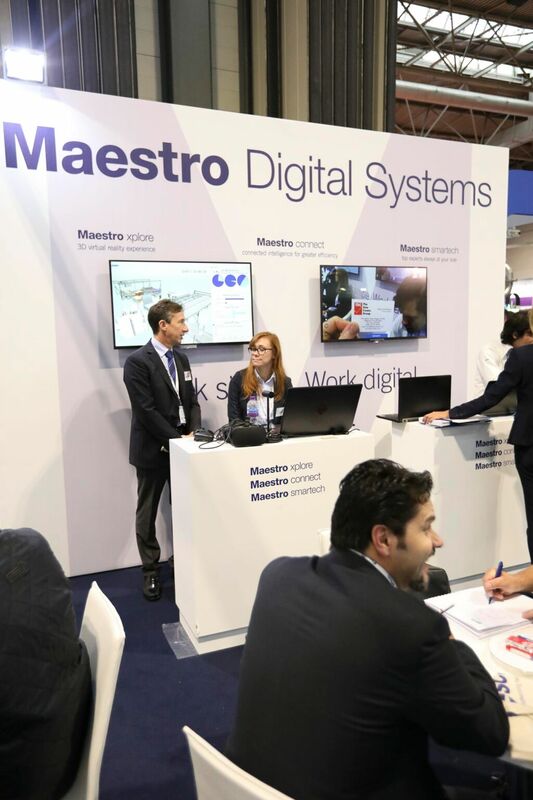 Work digital” was the concept underlying all SCM communication at the exhibition, the leitmotif of all the technological and digital innovations that were introduced. 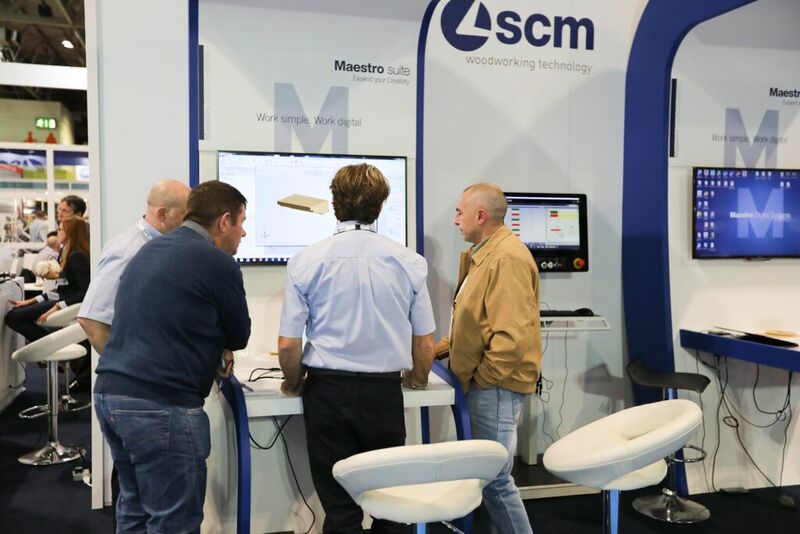 W18 visitors were very interested by the Maestro Digital Systems platform and, in particular, the innovative IoT solution of SCM Maestro connect which, in response to Industry 4.0 requirements, makes the most of the potential of the "Internet of Things" concept to create a system for collecting and analysing data from SCM machines, able to increasingly monitor and optimise production processes, offering on the one hand full control of production performance by the customer and, on the other hand, a number of micro-services such as prompt, smart maintenance and optimised spare part management. 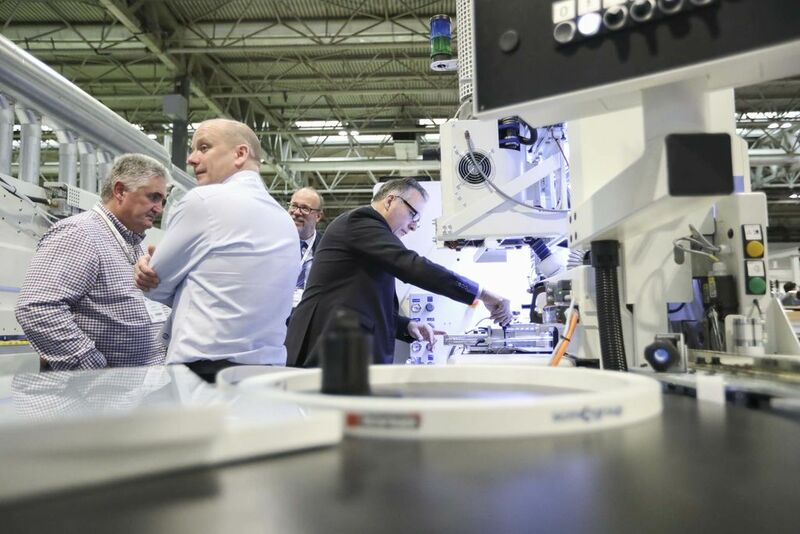 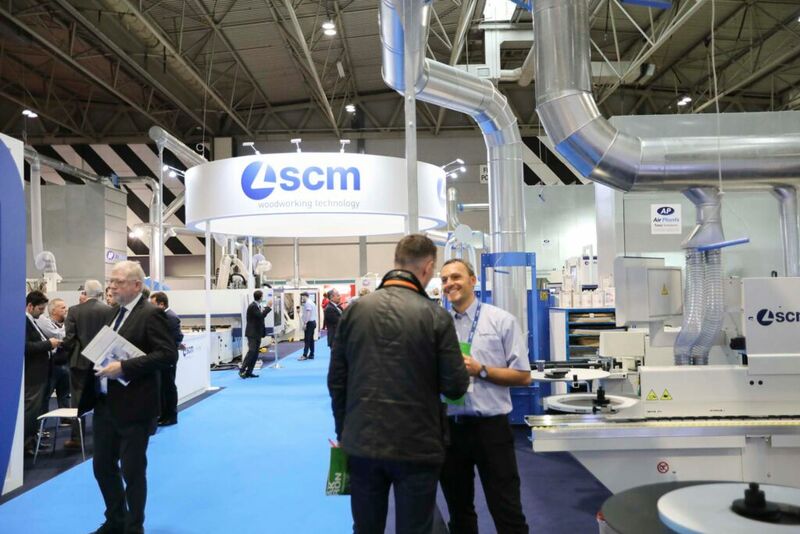 The attention of SCM visitors has been highly focused on Edgebanding, CNC Routing and Drilling technologies, with on the stand purchases of several machines by exhisiting customers, that have made the most of the available choice for a quick upgrade of their production facilities. 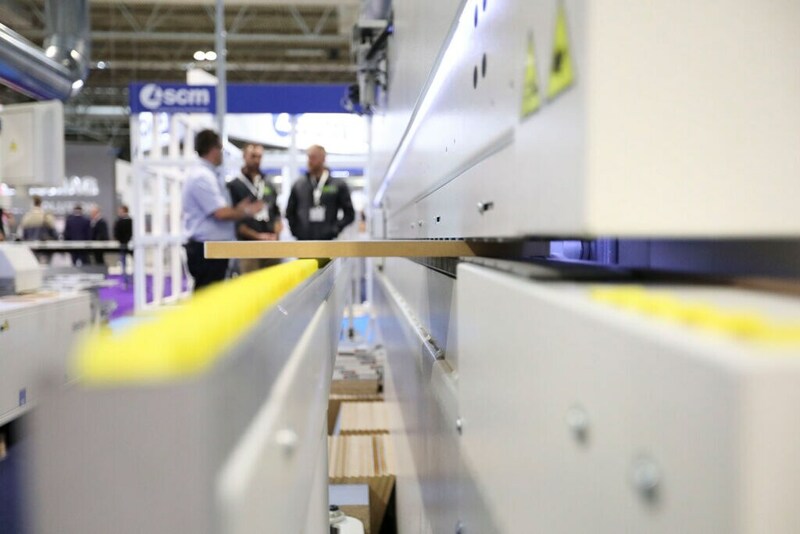 Great interest has also been placed on the Gabbiani S beam saw with Maestro Optimizer, FlexCut panel handling solution and SawSet rapid set up device for scorer alignement. 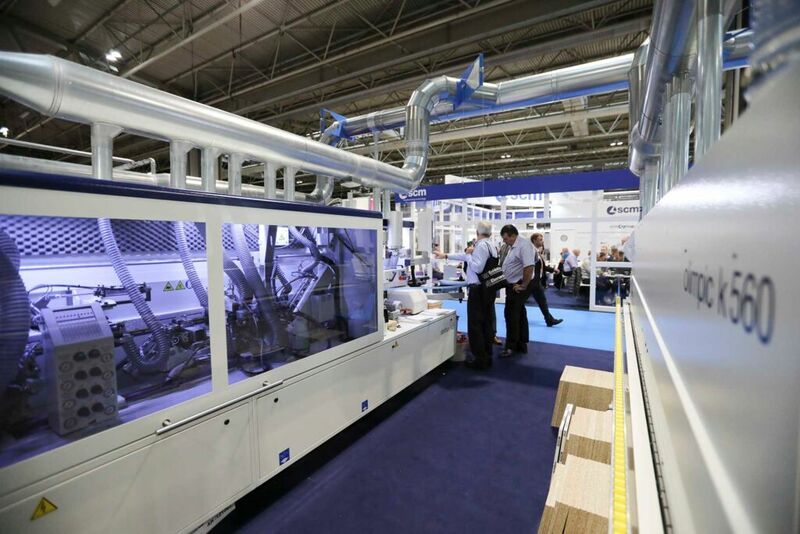 The imposing presence of Elmag Compact 3 spraying solution was not missed either, offering flexibility at an incredibly competitive price to medium size furniture manufacturers. 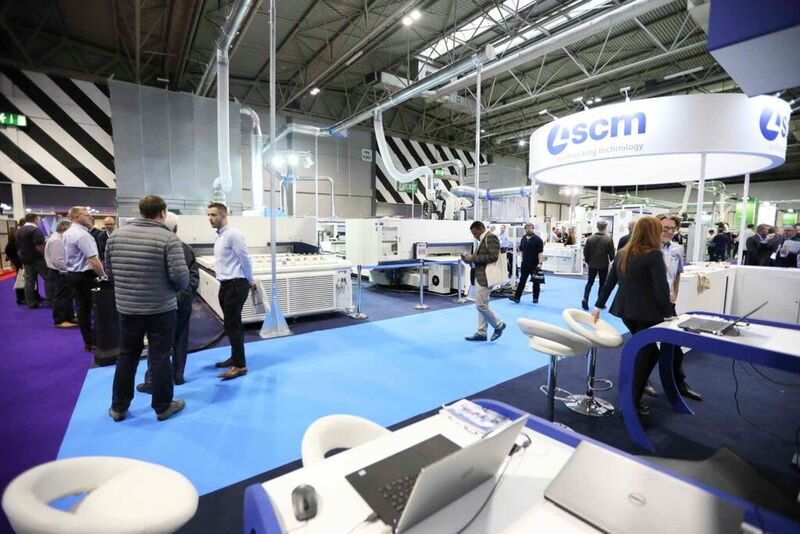 On the first day the attendance of new smaller customers, many of which were from Ireland, was noticeable for both classical machines and advanced technologies. 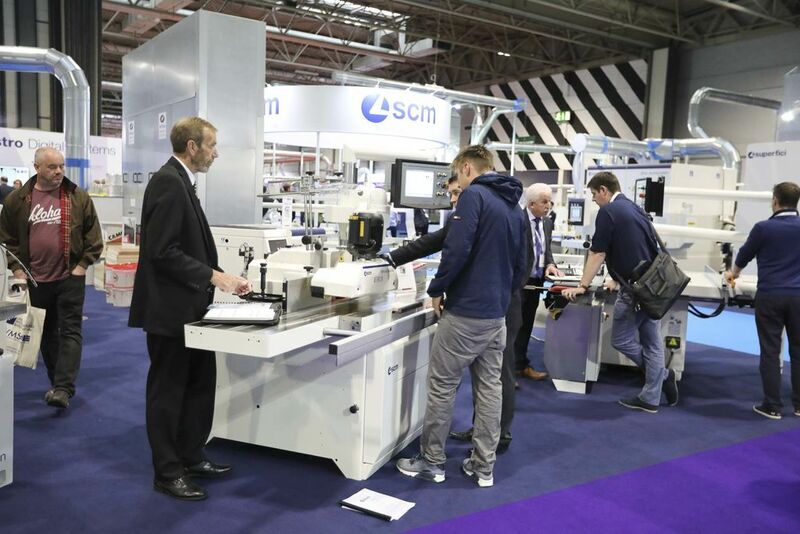 The following days have seen a large qualified group of existing and new customers making the most of their local area sales manager, service engineers and Italian product specialist available on the stand to get in depth presentations and demonstrations of the equipment on show for windows, doors and panel manufacturing. 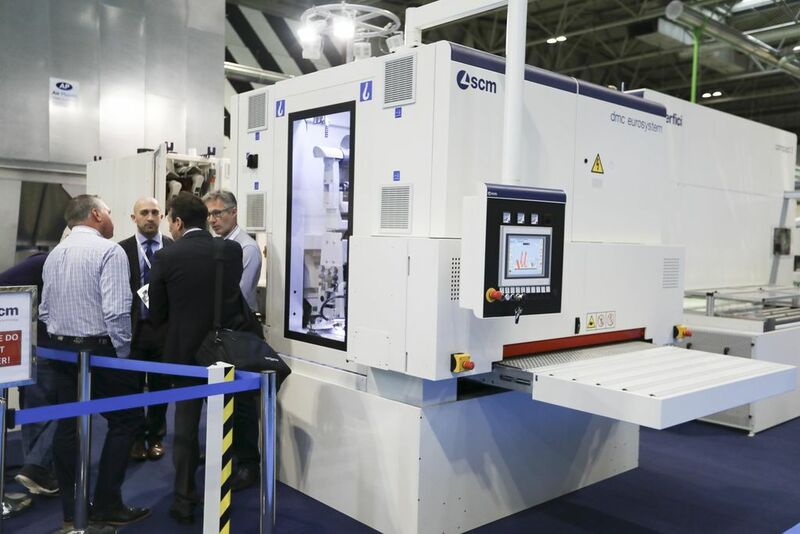 The choice of presenting a selected array of equipment and State of the Art in IoT and Industry 4.0 Digital Solutions has helped all visitors to understand how only a handful of competent supplyers can offer not only the latest versions of their mechanical and electronic assemblies, but have the competence and resources to develop the digital aspect of our offering to help customers develop and prosper in a very competitive market. 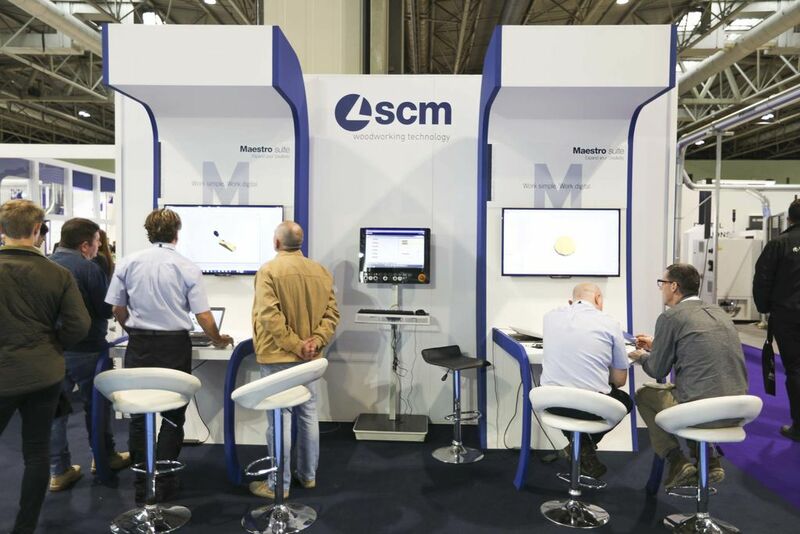 SCM is very confident about the future. 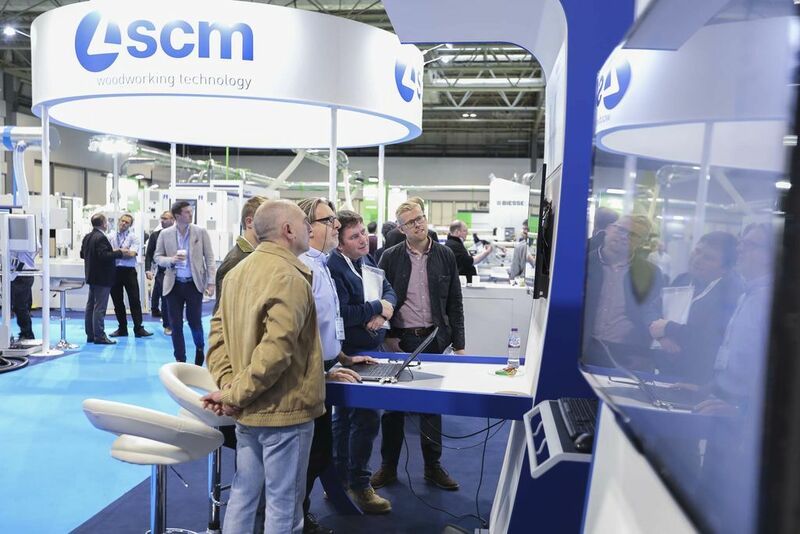 Brexit uncertainty is a certainty – says Gabriele De Col, SCM Uk Managing Director - but preparing with foresight to whatever is the change can put companies in the limelight now rather than having to play catchup once the deal will be closed.